Start of ski season! 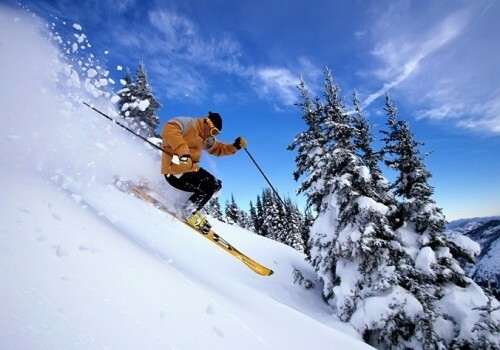 1 week in apartment in France with ski pass for €129! Beginning of October already signals approaching Winter ski season and it’s the perfect time to book your accommodation for your ski holidays! Right now you can buy 1 week of accommodation together with 6 day ski pass for decent resort in France for only €129! This offer is valid for apartments in residence Le Domaine de l’Arselle located in ski resort Chamrousse. There are apartments for 5, 6, 8 or 10 people available. Chamrousse offers 90 kilometres of pistes and 17 lifts which is more than enough for your 6 days of skiing or snowboarding. We personally tested this ski resort and can definitely recommend it – apartments are great and skiing is also fun with good selection of pistes and restaurants. There’s also swimming pool and sauna included in the price! Apartments for 6 or 8 people are also available for just slightly higher price. Hurry up with booking, this price won’t last too long! You can switch to your language in top right corner. Many other resorts are also available for amazing prices! « Cheap flights to Malaysia: Kuala Lumpur with Turkish Airlines for €433!